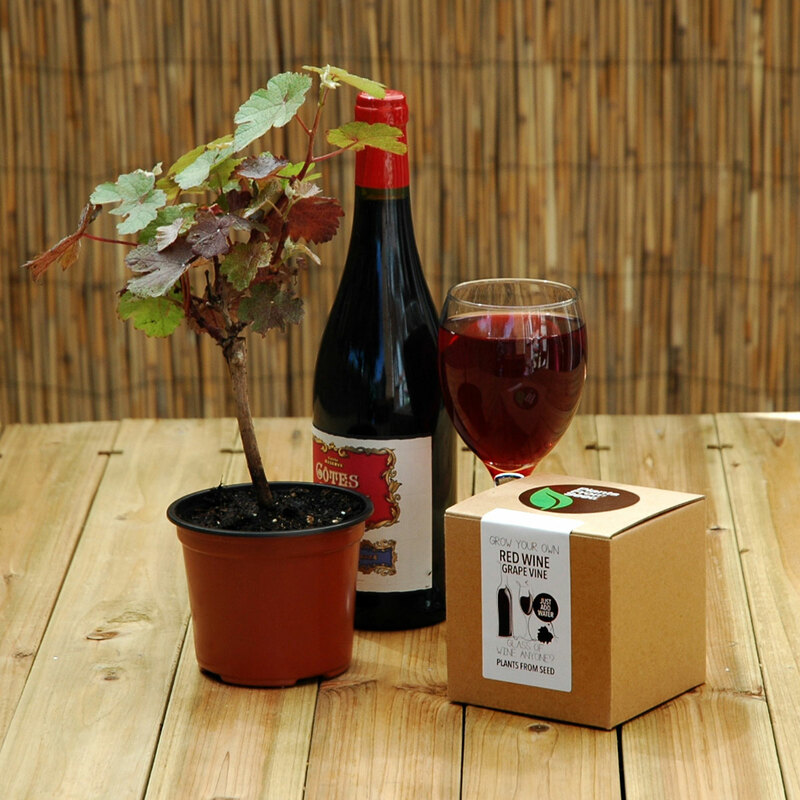 Grow your own red wine grape vine with this handy kit. This is a grow your own Red Wine plant kit which comes with everything you need to grow you own vine at home. An ideal little extra gift for any occasion, this Grow Your Own Red Wine Grape Vine Kit is the perfect present for any red wine lover. Nothing is as satisfying and authentic as making your first batch of wine from fresh grapes you have grown yourself. This Grape Vine kit includes high quality grape seeds and instructions on how to grow your own grape vine at home. The grape variety is Riverbank Grape, (Vitis Riparia) and is a delight to grow in any garden. Inside the Grow Your Own Red Wine Grape Vine is two terracotta coloured small plant pots, one professional grow pellet and coffee plant seeds. An instruction sheet is also included on how to grow and take care of your new arrival.